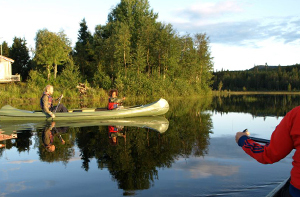 A quiet, eco-friendly camping site by VERMUNDSJØEN lake, right in the heart of Finnskogen. Close to nature! 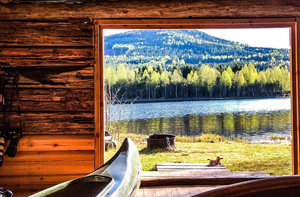 Sleep in the 100 year old boathouse just meters from the lake. Simple standard with outdoor cooking. Check out AIRBnB for prices and availability. Free use of canoe included in the price. We have canoes for rent for use one the lake of Vermundsjøen. Find prices below. Low impact travell. Put up your tent on our beautifull camp-site with wiev of the lake. You can also rent a tent from us. 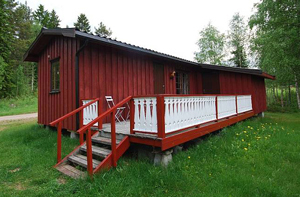 Rent our lovely small cabin. 2 bedrooms, total 5 beds. We are bilding a tiny house. 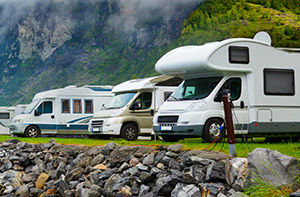 Bring your mobile vacation home. 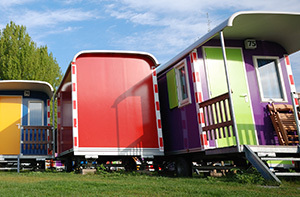 We have place with electricity for your caravan. *Contact us for a special offer during low season in autumn. Valid in September and October. contact us for a discount if you come as a group. 10+ persons. Seasonal (April - Oct) 5000 + electr. Children under 11 years old, stay for free! WE ACCEPT VIPS AND CASH ONLY. Respect nature! Clean up afteryour self. Make sure to bring all trash to the bins, including cigarette buns. Do not feed or disturb the animals on the farm. Any interactions at own risk! We value our stillness. Keep noise to a minimum.